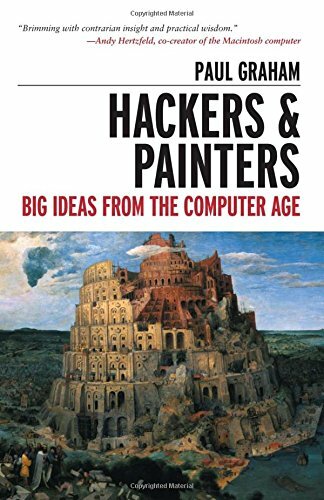 I am currently reading Hackers & Painters by Paul Graham. It contains many brilliant essays, but it also has a few not so brilliant ones. In “Mind the Gap”, Graham proposes the idea “in a modern society, increasing variation in income is a sign of health”. The rationale for this is that some people have the potensial to be more productive than others and by rewarding them proportionally, everyone as a whole would be better off. “I am not saying that if you let Henry Ford get rich, he will hire you as a waiter to your next party. I’m say that he’ll make you a tractor to replace your horse”. At the fundamental level, I have no problem with Graham’s argument. But I see two problems undermining his argument: First, Graham says: “As [technology] seems to increase the gap in income, it seems to reduce most other gaps”. That is, we are not concerned about relative poverty, only absolute poverty. Second, Graham posits that the rewards a Henry Ford, a Wozniac, a Gates should get should be propertional to the wealth they generate. On the subject of other gaps than income gaps closing, this is only true to some point. Modern societies seem to have an increasing problem with real poverty in the last decade. I don’t know where to find statistics for this, so I will have to go off an anectote. I live in Norway, one of the more socialist democracies in the world. We pay high taxes, we have socialized healthcare, socialized higher education, public housing, good unemployment benefits. Yet we have more poverty than we should have. Living in downtown Oslo, I occasionally witness such poverty. Yesterday was such an occasion. While walking the dog, I came across a collapsed man in a small public plaza. I called the police. “Oh, he’s still there? He’s a junkie, if you nudge him, you’ll see that he’s alive. He won’t freeze, so we can’t really priorize it. He’ll be fine”. It seems to me that here is clearly a problem of poverty that could be solved by throwing more money at it, in a “socialist” fashion. I know I would be happier if I know that more people like this were taken care of. I think the portion of people living in poverty in Norway is increasing. I think the US is even worse in this regard. So much for the other gaps being reduced. On a whole, more wealth is generated, but I believe the level of poverty is increasing. This is obviously a bad thing for everyone. Secondly, I agree with Graham that productive people should be rewarded handsomely. But this does not mean we must be rewarded proportionally to the wealth we generate. The more money you have, the more you are able to enjoy even a small increase. If your regular expenses are just paid off, a 10% increase in income is a 100% in disposable income. A steeply progressive tax regime could still maintain the incentive to excel. And the general rule, the more wealth you generate, the more you are dependent upon the estabilished infrastructure to produce, market, and deliver that wealth to your customers. The more customers you have, the more you are dependent upon your customers level of education, amount of spare time, and income in order for which others have paid. I believe there is such a thing as Society with a capital S. Society’s interest is to generate maximum wealth, and distribute it in such a way to create maximum happiness (that is, the largest ratio of people being well off, not a few being exceptionally rich). In order to generate wealth, productive people have to be rewarded, as Graham describes. But in order to reduce poverty, to create good consumers and workers, to address the real cause of crime, Society should redistribute the wealth to a greater extent than what Norway or the US are doing today.